Purpose: To protect your body. 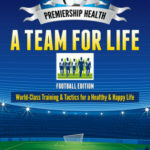 As a doctor, this was the first team I looked at for Premiership Health, and it won’t surprise you to learn, it’s the team I pay most attention to, because, like all good managers, I want a strong defence to protect me. It’s exciting times for this team as well, most of the new successful treatments for cancer are derived from ImmunoTeam players. Immunotherapy, has become the buzzword and focus for the cutting edge technology in medical research today. The strength of your team’s defence depends upon the strength and capabilities of your immune system. If you have a good strong Health Keeper in goal and they can keep a clean sheet in the game of life, then you are well on the road to Premiership Health. Yet, for many of us today, the immune system is playing poorly, it starts attacking when it isn’t needed, producing autoimmune and allergy type conditions, and then overreacting when it should be resting, creating inflammation all over the pitch. Before finally becoming exhausted and missing some tackles altogether. Although the players on this team come in many shapes and sizes, they can essentially be divided into two types. Those that enjoy a general kick around and are not too bothered about the type of opposition, as long as they can give them a good going over, and those that prefer to take a more cerebral approach, study the opposing attackers, memorise their formation and adopt a man to man marking system. The first type is called, innate natural immunity and the second is acquired immunity eg. Vaccinations. Together they give your team quite an arsenal at its disposal (pardon the pun) and offer great protection against specific attackers such as; lethal bacteria, viruses, poisons and cancer cells. Without these defensive units, collectively known as your ImmunoTeam, you would not survive for long in the game of life. For example, there is an inherited condition known as severe combined immunodeficiency (SCID), characterised by an absence of functioning ImmunoTeam players called T-cells. It is severe because it is fatal, usually in early infancy, due to opportunistic infections dominating play, and combined because without T cells another ImmunoTeam player, called B-cells, are unable to compete and carry out their defensive duties and the game is lost. This highlights an important point for Premiership Health: It is not just the strength of the opposition that matters, of more importance is the strength of your ImmunoTeam’s defences to keep them out.